Raising a child is not easy. Teaching them how to behave and be kids is quite challenging. What if instead of teaching just one you have to teach 17 sprightly kids? A preschool teacher's life is not easy. Every day is not just about alphabets, colors, and shapes. They say that to be a teacher you'll need a great deal of patience, understanding, and determination. For all the teachers out there, we salute you! It was a bit of a struggle for us to find the right school for our little princess. There were a lot of factors to take into consideration. Security, teaching method, environment, and money are some things we were very peculiar of. Out of all these things, there's one that was very important to us and that is how our little princess would feel about going to school. We asked her a lot of times if she is ready for school and the answer was always a yes. This will be a first for her. She never had playschool. Our daughter is very shy and is used to just us four. After some time, we found the right school and was already impressed with Miss Roxanne during the summer school. We were hoping to have her as Hennessy's junior kinder teacher. It was only during the first day of school that we found out that she was assigned to teach the Senior Kinder class. We were worried because Hennessy will have to adjust to a new teacher again plus new classmates. 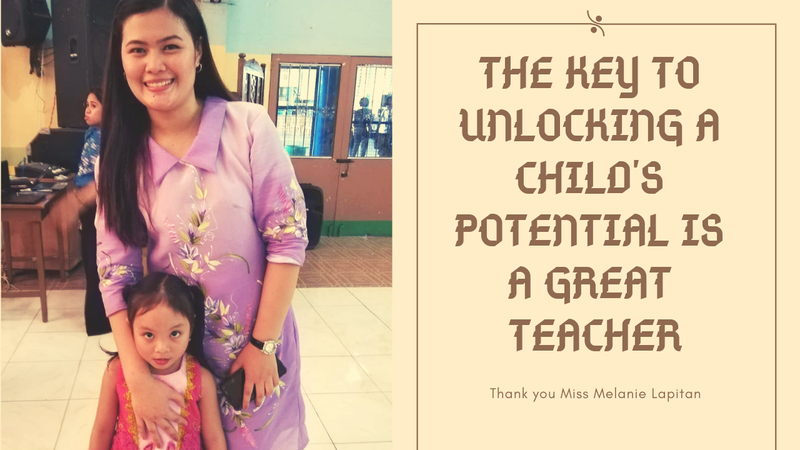 The first day of classes was the day we met Miss Melanie Lapitan. A school year has passed since the day we met. Hennessy learned to socialize and has also gained friends. She sings and dances with everyone too. This was all thanks to your patience, understanding, and determination to teach and guide our children and unlock their potential. You easily became the person Hennessy learned to love and respect. You were an inspiration to her, and she even decided to become a teacher when she grows up because of you. We also thank you for extending your care and love to our Jack Daniel. Amara and Luffy are sure lucky to have you as their mom. We feel that we were not able to thank you enough during the Moving up ceremony. With big smiles on our faces, we thank you very much. Thank you for making this school year fun and amazing for our kids. You're more than a teacher, you're an inspiration. A special shout out to all the parents of JK and SK students, to all the staff, sisters and teachers, thank you for making school fun and exciting for our kids. We are not the perfect parents, yet, God blessed us with lovely kids. My wife and I were also lost souls before. Trying to find our happiness amidst this ever-changing world. We found happiness when we met each other and then our happiness became complete when the two came. 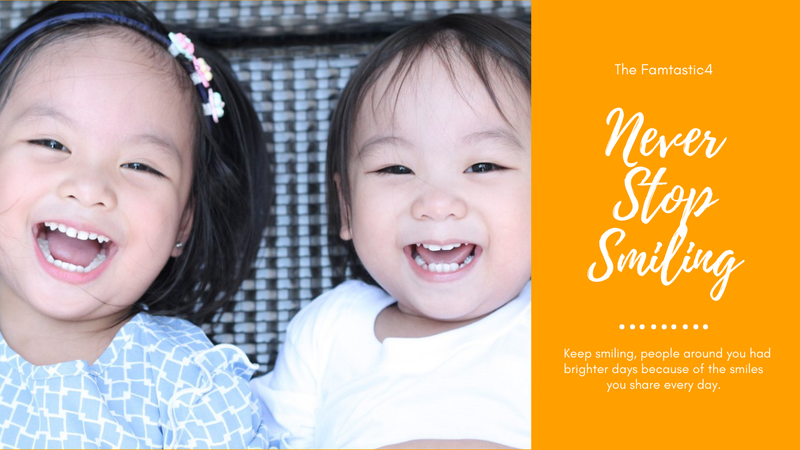 We constantly tell them to share their lovely smiles because if those smiles brighten up our day it will surely brighten up others as well. A smile can thaw a frozen frown. Be content and find true happiness. Have a blessed day. Our family is a bit different or at least we think we're different. We don't want to stand out or anything. We just wanna be different because sometimes being different is okay. The day came when we are now the one to celebrate Hennessy's birthday in school. 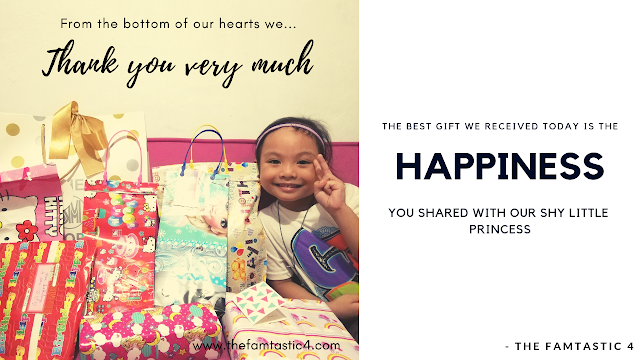 We told her over and over to not expect anything from her classmates and we are only doing this because we want her to also experience how it is to celebrate her birthday with her classmates. This is also a chance for us to give back to those who celebrated before us. She said okay and smiled. Somehow she understood. Hennessy was very happy because other than just having her classmates sing her happy birthday, we were also overwhelmed with gifts. Hennessy gave the most priceless expressions when she opened her gifts. We were all surprised and we learned a lot from this experience. I'm pretty sure that "change is coming" next school year. 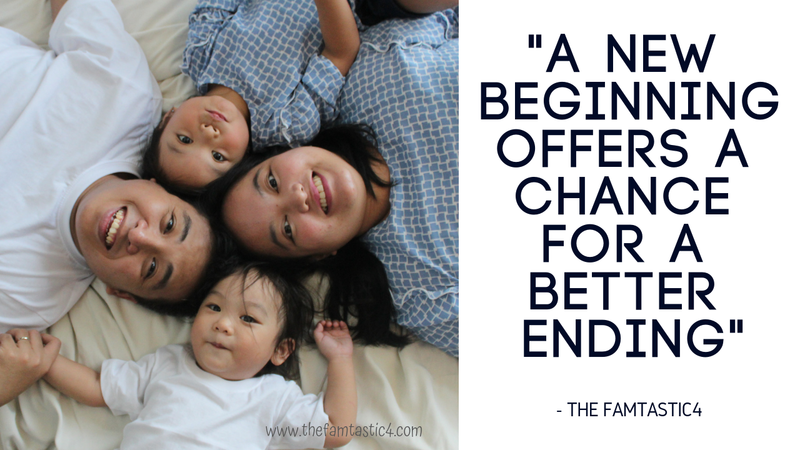 We can't thank you enough for showing us that sometimes we don't really need to over think, we just need to give our children the happiness that they deserve. We will be uploading her birthday video... soon. Once, there was a family who lived in a castle very far away. Their castle is in the middle of a city and surrounded by other castles taller than theirs. They live a simple and happy life. The King goes out every day to hunt for food and find gold while the Queen use magic to do the same while staying at home and taking care of their two children. Their firstborn, the Princess, is a young and beautiful girl who is quite shy but lovable. The youngest, the Prince, is so adorable but is also the naughty one. The two children love the camera and so the family found a way to share a part of themselves to the world. They've created a small virtual space to share their stories and for some time it also served as their window to the world. Time had gone by and a lot of things happened that they were no longer able to keep up that small space. They also had to leave the city behind and moved to a castle surrounded by mountains and trees. They struggled for a few months to adapt to the changes. The King started to learn magic from the Queen, so he can also stay home while hunting for food and find gold. The Queen mastered her magic and the hunt for food and finding gold is more stable now and secured. School has started. The Princess started going to school for the first time and the young Prince learned to express himself better. Everything is now in place, and the family decided to continue sharing to the world again. Today the family will open themselves to the world again and shall live happily ever after. Thank you for reading our relaunch story. An ordinary family of four. Nothing more nothing less. 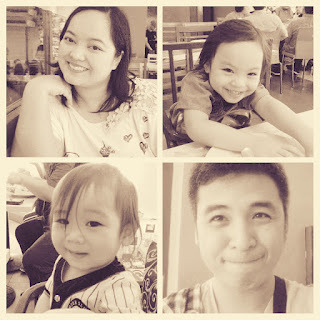 Simple, fun and just us. What you see is what you get.